Tarot is a complex form of divination. 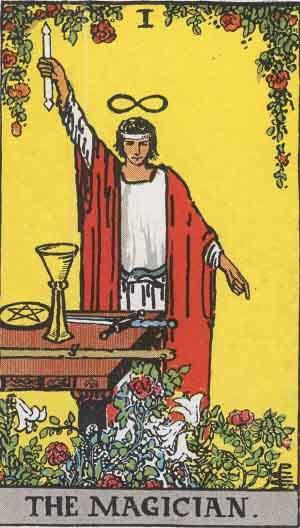 Using 78 cards, the tarot reader decodes the message presented; be it the future, the past, or life choices. There are many ways to interpret Tarot cards, and many interconnections and related pieces of symbology that are up for interpretation. As well as this, there are many spreads (ways to lay the cards), which can deal with all sorts of different situations. 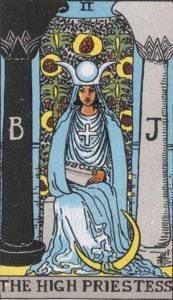 Tarot is both an eclectic and deep system of divination. 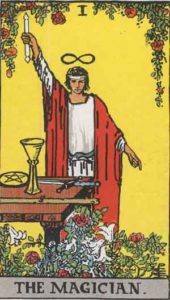 The origin of the Tarot system of divination is not entirely clear. What is agreed upon is that in the mid 15th century, pictures on cards started appearing. Tarot cards and regular playing cards are deeply connected. There are four suits, Cups, Swords, Wands and Pentacles (sometimes called coins), compared to Hearts, Spades, Clubs and Diamonds, and Tarot was originally used in games. Tarot as a form of divination comes about as a result of Antoine Court de Gébelin, a French pastor. He was certain that the cards held within them some ancient Egyptian mystic wisdom. Egypt, as a source of mystic schools and traditions, was a hot topic in those days (and, if you look closely, Egypt is still popular now in more ways than you’d think). Subsequently, Antoine Court de Gébelin wrote ‘Le Monde primitif’ (The Primeval World), a book on contemporary society, within it, he wrote a chapter on Tarot, and his perceived origin of the cards. He said they were made my Thoth, a figure present in many religions, a God of knowledge. Thoth is known by many names, you might recognise him as Hermes Trismegistus, and you may be familiar with the Emerald Tablets of Thoth, upon which whole essays could be written. The Egyptian link continues to this day, many symbols on the illustrated cards in many decks are Egyptian in origin. Skipping forward to the Nineteenth century; certain comparisons were made with the Tarot and western mystical traditions of the time, such a Kaballah, and the Tree of life. 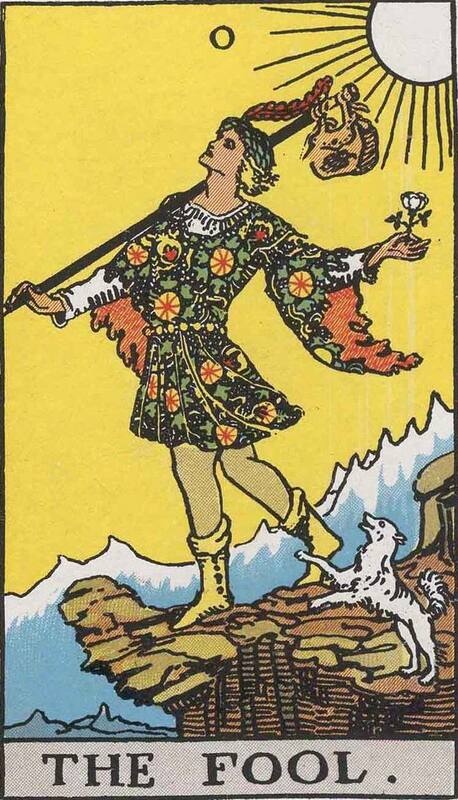 Many decks were created during this time, including the ever popular Rider-Waite deck. Beautifully illustrated, the decks are ripe with symbolism of Egypt and other mystic traditions, which also help to describe the cards and see meanings from new angles. How do I learn to read Tarot cards? Well, you’re in the right place! 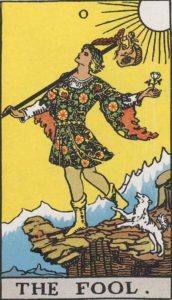 There is no right way, or wrong way, to practice divination from Tarot. But there are established ways, and certain universal rules that you can take and apply to your own readings. So do you want to start right now? Shuffle your cards, place a card each into the past, present and future positions, then look up their meanings in the Card meanings section. That’s a quick simple spread. Once you’re comfortable doing simple spreads, you can move onto more complex spreads, or, make your own spread. Don’t be afraid to stray from tradition when you’re confident. Once you’ve learned the meanings and interconnectedness of the cards, you can apply their uncovered meanings to any possible layout you can think of.